The perfect oil is here! Yipee!!! I've long been using Bioré makeup removers. I have no idea why I have never had any kind of post to discuss makeup removal here in my blog, but I've been using Bioré's 2 phase makeup remover since late 2011. It's been that long already. 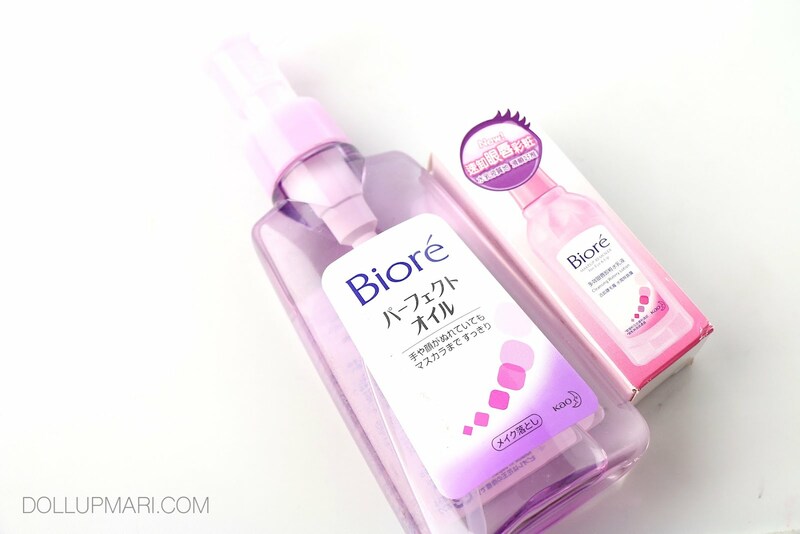 I have always loved their makeup removers for their speed in cleaning, makeup removal power, and the gentleness to the eyes. This is why today, I'm here with a review with their Perfect Oil. I know they recently had a bloggers' event here. 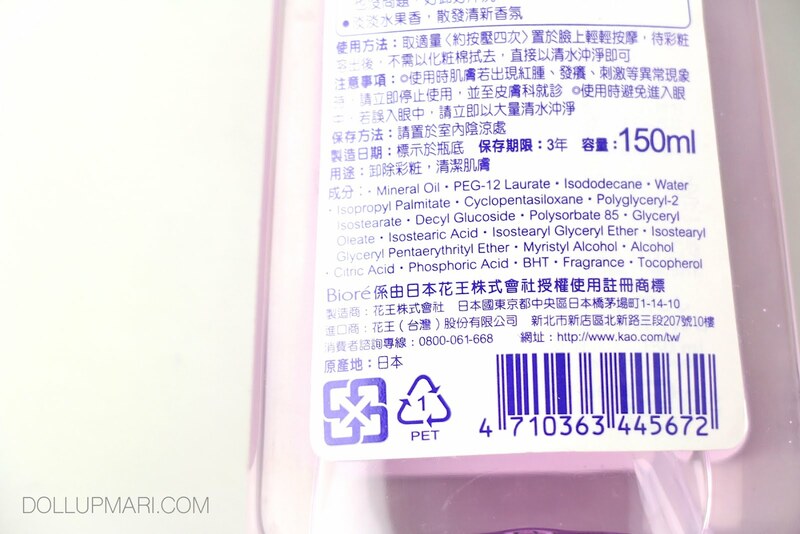 I wasn't invited to that said event, this is my own bottle which I bought in Taiwan. But not being invited doesn't mean I ain't gonna join the party! This is why I want to spend this time doing this review. When I bought my makeup remover, I also got a facial milk slash cleanser slash I don't know for free. I remember this being affordable, like it was not beyond Php350, and it's already quite a big bottle at 150mL. 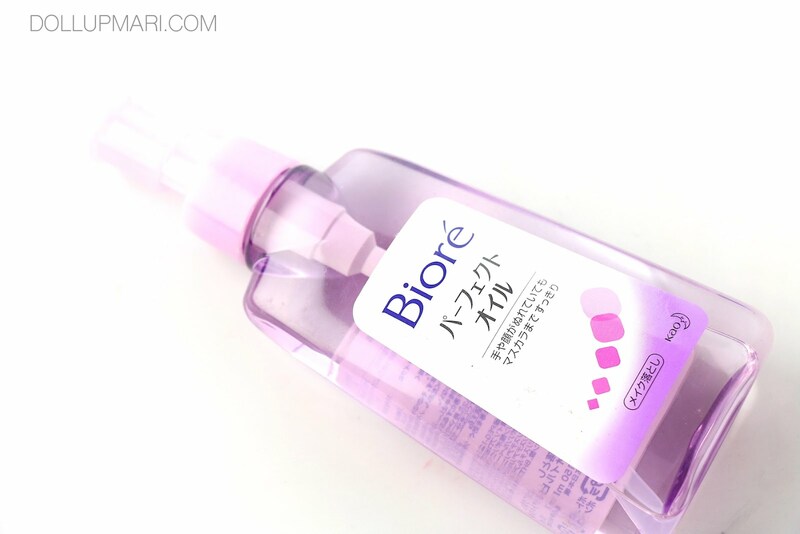 Mind you, it took me four years to finish my Bioré two phase eye and lip makeup remover, and it was at 130mL! And to think I was using that product religiously for all my eye makeup removal affairs since then. For the concerned folks out there, this is 150mL. The ingredients are here. I think BHT is the preservative (?). The best part is that even if this is a Taiwan one, this is still made in Japan. And for fun facts, Kao is also the makers of Asience and Essential. Anywaays! back to the product. It's a pump bottle with a small spout. I remember it being shrink wrapped, with this plastic stopper on it. But well I can be wrong. The spout is of a small diameter because it needs to be able to dispense the product in a small surface area as it's an oil. It really is oil, pure oil. Like dry oil. The spout works to dispense only a small amount at a time. 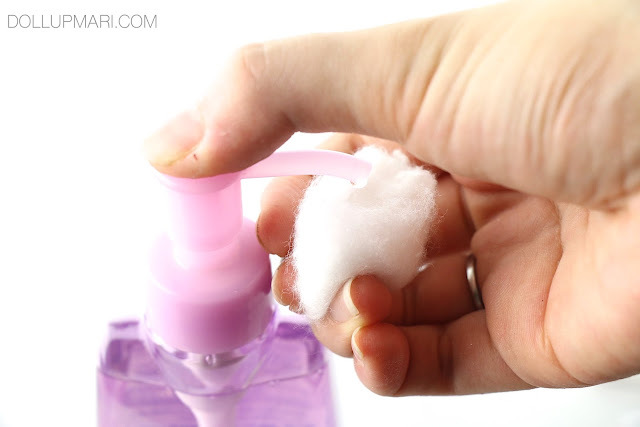 I usually like to use cotton balls, so here I am using cotton balls. To demonstrate how it works, here is my arm right after swatching my Urban Decay dangerous palette. 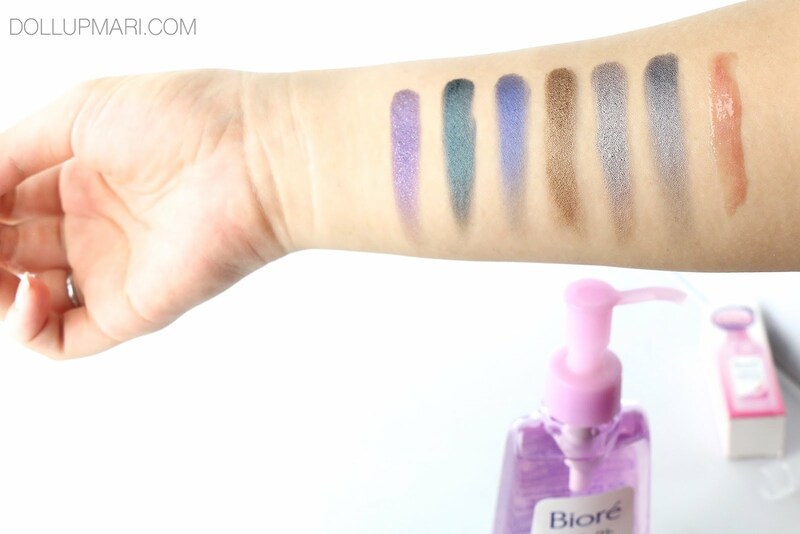 The palette features six metallic eyeshadows and a lip gloss. And yes, as expected of the oil, it removes everything in its path in one swipe. Not much effort was exerted to get everything off. It's so nice to use. It already gets rid of all the makeup on my face without much effort. It's not a very runny oil, so not everyone might like it because it feels like cooking oil on the face. But at least, the scent is a lovely floral-citrusy scent, and on my part, at least it gets everything off without the sting! 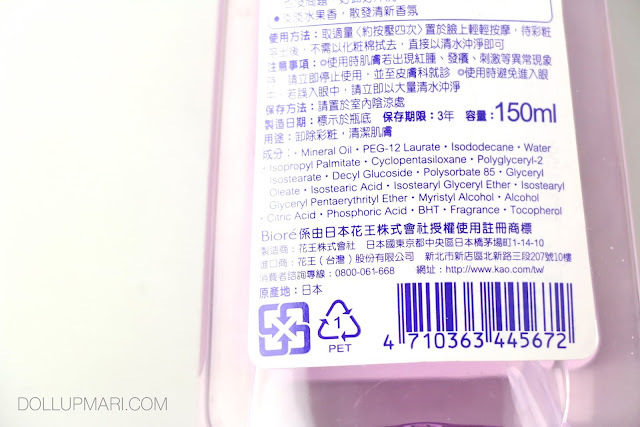 It did promise the mascara removal part, and while it does remove mascara properly, there also needs to be effort on the user's part to be dexterous and diligent in gently wiping the mascara off. Patience will be needed with waterproof mascara, no matter how good the makeup remover. 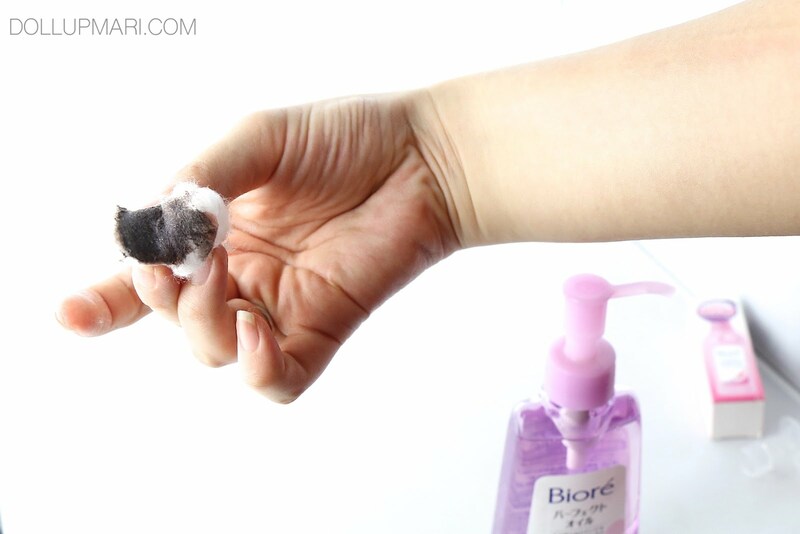 Not only because it takes the makeup remover time to seep into the layers of mascara and dissolve it, but also because there needs to be an effort on the user's part to not tug the eyes too much during the removal process so as to prevent premature wrinkles. 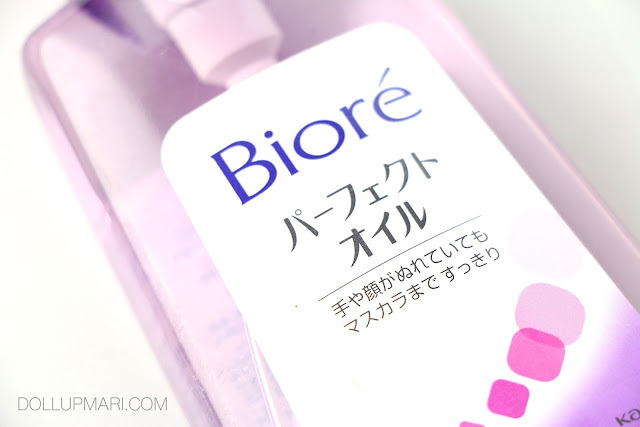 But so far, it works just as well as the other Bioré makeup remover I owned. Overall, I like this product because it's true to its brand equity and promise and really cleanses deep and cleanses well. It's one of those products that I can rely on at the end of the day to do the job fast and get me to bed faster. I wouldn't mind bringing this to trips (so long as I'll probably dispense it into a smaller bottle) because it's so easy to use and it's really effective. 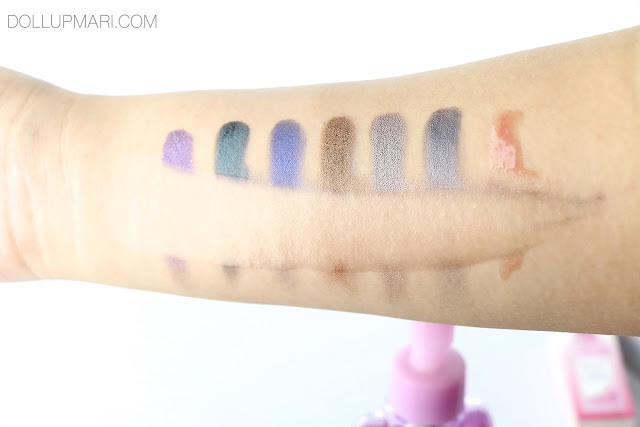 The no sting no eye blur formula is enough to get me to make the effort to put this into a small bottle because when I'm traveling, removing my makeup is an additional source of tiredness because often times I'd have to re-wash and re-wash my face just to get the blur off my eyes. With this one, so far, I've only needed to wash my face once and such has already been enough to get all the product (as in the oil) off. 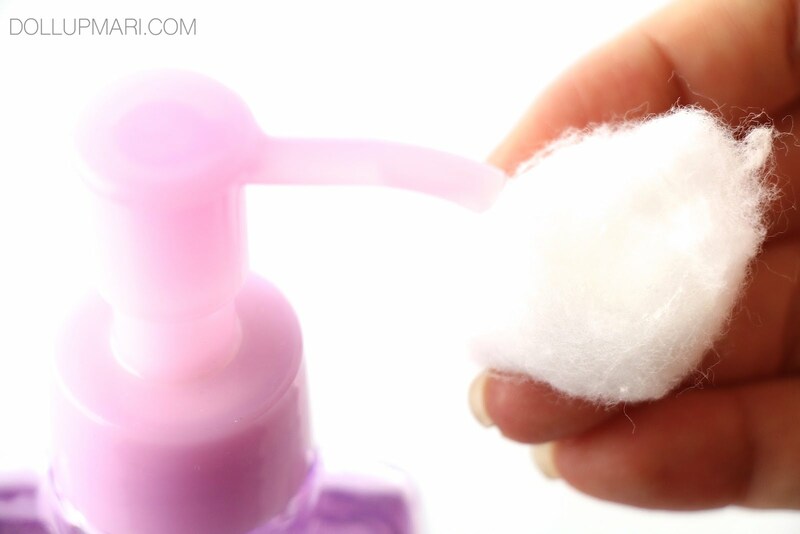 BUT, EVEN THEN, I still wish that they made a small version of this product for travel and with a screw type bottle so that it'd be convenient to bring on trips without the fear of spillage. This bottle is made of very thick and sturdy plastic, which is why I think it's a waste that there are no travel versions of this. It's not easy to wash a bottle and get the water off especially if the spout is tiny, which is why I wish that they would be the ones to especially manufacture smaller bottles of this. I think this is available in beauty stores and department stores and will be available to everyone soon. Do try it out when you get the chance.